Everything old is new again. As Ross Melnick has synopsized at Cinema Treasures: "Built in 1916 and originally designed by the Reid Brothers, the over 2,000-seat movie palace was renovated for the Nasser Brothers circuit in 1932 by Timothy Pflueger, who transformed it into an Art Deco style wonderland. The theater also has a 70-foot marquee that is a local landmark. After closing, it spent many years as a furniture store. The City College of San Francisco proposed to raze much of the former movie palace and build new campus facilities inside the theatre's building. Believing that more of a theatre could be retained while still achieving the school's goals, a local group called 'Save the New Mission Theatre' [aka the advocacy group The Friends of 1800] lobbied to stop CCSF from executing its plans." In 2012, Alamo Drafthouse announced plans to convert the theatre into a five auditorium cinema, with new auditoriums in the balcony and preserving the main screen. In keeping with the "everything old is new again" meme, The New Mission will re-open December 17, 2015 with Star Wars: The Force Awakens. Alamo Drafthouse CEO and Founder Tim League graduated from Rice University in 1992 with degrees in Mechanical Engineering and Art History. After a two-year stint at Shell Oil in Bakersfield, California, Tim left engineering and opened up his first movie theater. When that theater closed after a short run in 1995, he and his wife Karrie headed to Austin with 200 seats, a projector, screen, speakers and a passion to do it right the second time. They founded the Alamo Drafthouse in 1997, where as CEO League remains committed to providing creative programming and a zero tolerance policy for disruption during the theater experience. League also co-founded Fantastic Fest, the largest genre film festival in the United States and launched Drafthouse Films, a distribution label committed to releasing provocative, visionary and unusual films from around the world. Past releases include critically-acclaimed comedies Four Lions and Klown, the rediscovered classic Wake In Fright, and the Oscar®-nominated Bullhead and The Act of Killing. When asked about his early qualifications for opening a movie theater, League answered, "None, other than really liking movies, which I guess is the most important part." The Alamo Drafthouse is expanding nationwide to Los Angeles, San Francisco, and Brooklyn, with many more on the horizon. 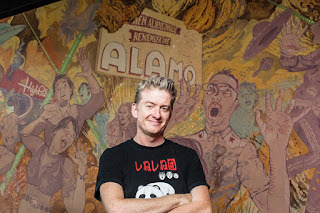 Mike Keegan, Creative Manager of the Alamo Drafthouse at the New Mission, is responsible for anything that hits the screens at the theater, from new releases to classic films. He also dreams up the special events for which the Alamo Drafthouse is known, including celebrity guest appearances, interactive sing-alongs and pairings of classic films with food and drink menus. Before joining the Alamo team, Mike was the Director of Programming at San Francisco's Roxie Theater as well as a film and event programmer for San Francisco IndieFest, San Francisco Doc Fest and Noise Pop. If you cornered Mike at a party and asked him about his favorite movie, he would look you in the eye and name one quickly, without any qualification. The party answer vacillates between Boogie Nights, Something Wild and Buffalo '66. Between us, if you ask Mike in writing what his favorite movie is, he gets maudlin and stares out the window for a long time and misses some crucial deadlines. And for better or worse, Mike lives only one block away from the theater. Michael Guillén: Congratulations! The renovation is absolutely stunning and beautiful. San Francisco is a graveyard of retired venues and theaters that have closed down, but what was it that motivated you to take on this nearly Sisyphean task of restoring The New Mission to its former glory with an eye towards the future? To bring it back to life? Of all the different venues you could have chosen to restore, why did you choose The New Mission? Tim League: It ended up being a lot more complicated and expensive than I could have imagined; but, we're almost done, so we're feeling great now. There was a buddy of mine who lived nearby who called me after he'd been to the futon store—when The New Mission was a futon store—and he covertly snuck in the back and saw what was hiding back here and thought I should check it out. I flew out, checked it out and fell in love. I liked the size of it. There are some smaller theaters that have closed down, but we felt The New Mission was a good size and—with its two balconies—we could do what we needed to do: which was to make five screens. That gave the project a little more financial sense. Guillén: You understand that San Francisco is undergoing a major cultural upheaval? And that this area is a politically contested area? Were those gentrification issues of concern to you? Do you feel that in any way you have upset the equilibrium of the community in this neighborhood? League: I really hope not. We went through several community engagement panels and meetings. We hosted people here in the lobby of the theater when we were seeing if we could actually get it done, taking feedback from people in the community, and it was overwhelmingly positive. There weren't any concerns from the many neighborhood groups involved. We worked really hard to listen to what they wanted and needed out of this space and we're going to try to be a community art center that is an asset to the community and not a liability. I've said it before that those are words that are easy to say, but I want people in a year or two years—after we've been running for a while—to understand that we have every intention of living up to those words. Guillén: To be honest, once I heard that you had hired Mike Keegan as your Creative Manager, I felt more hopeful. At the Roxie, Mike had done such good work reaching out to the community and reaching out to this nebulous entity that I've become fascinated with: San Francisco's "New Audience." Mike Keegan: That's what I'm most excited about: finding the audiences who are in San Francisco that don't know they're the New Audience yet. If you go to a San Francisco Film Society screening, you can see a lot of crossover between festival and repertory cinema audiences, but fest and rep don't interact with first run very much and I'm excited to get people comfortable enough to come to a place where they can eat and drink in a venue where the projection and sound is good, such that they'll begin enjoying just coming to the venue. They're going to come on a Friday or Saturday night whenever a new movie opens, and they'll become so comfortable with the venue that they'll just want to come to the movies throughout the week. That's where we will discover who this New Audience is. I see them as people who are willing to take chances. This is where the trailers before the movies will also work. We'll be showing trailers for our own repertory shows. If someone comes to see The Hateful Eight, let's say, they're going to see a 30-second trailer for all of the horror movies that we're playing that month. It will be interesting to try to awaken sleeping cinephiles. I was in Austin for about four months this year and got into talking to people who I would see at every sort of show, like a Powell and Pressburger movie, then a shot-on-video horror movie, then a political thriller. I'd see these same people over and over again and they didn't really fit the stereotype or archetype of filmgoers, and when I asked them about that all their answers were the same, "I always liked movies and then I moved to Austin and I started to see everything." Part of that is creating a comfortable experience. Guillén: The New Mission will definitely cater to an event-oriented movie-going experience, which I believe audiences crave. Value added distinguishes the movie-going experience from the limitations of home entertainment. Keegan: For movies of a certain scale you can't just open and let them play for a week. You need to give people a reason to leave their house. Guillén: Getting back to your hopes for the community, I understand you have a community liaison person on staff and I'm intrigued by the potential of outreach. This is such a splendidly renovated venue that—once people see it and discover how magnificent it is—you're going to have all sorts of community organizations who will want to host events here. The New Mission will have the potential to have a seismic effect on San Francisco's filmic landscape. Are you already negotiating with community partners for future screenings? The San Francisco Film Society? Peaches Christ? Midnites for Maniacs? Noir City? Keegan: That was a conversation that started as soon as I came on board. Tim programmed for the San Francisco International this past year so he's already made those in-roads. My on-the-ground time was finding room for everybody before we even opened and initiating those conversations. We are a community theater and, to that end, will be available to all the Bay Area film community in a very active way. I believe movies are for everyone. That's my line on it. Everyone likes movies and there are movies everyone can like and that's an important thing to keep in mind: while we're serving hard-core cinephile fare, we'll also be showing kids movies for a dollar on weekends. The New Mission will be here for everyone. We love movies, movies are great, and we want to show people how great movies are. Guillén: In terms of programming, can you offer a glimpse of what's coming up in these first few months? Keegan: After Star Wars, we're eyeing Joy, Sisters, and Hateful Eight. We're bringing back the Academy Award® short-listed The Look of Silence for a full run. On top of that, our weekly signature programming kicks off in January with Music Mondays—a focus on Brit Pop and this great doc called Live Forever (2003), followed by 24 Hour Party People (2002) and Meeting People Is Easy (1998), the Radiohead movie from almost 20 years ago—then Terror Tuesdays, with our proto-slasher Don't Go In the Woods (1981), this bonkers Mexican movie called Don't Panic (1988) and The Return of the Living Dead (1985). 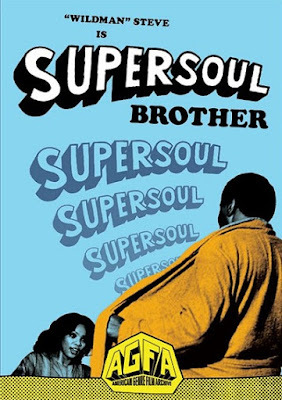 Then for Weird Wednesdays, Super Soul Brother (1978). Have you ever seen that? Keegan: It's about a wino who stars in the chitlin' circuit as Wildman Steve. He's picked off the street to be injected with this super serum that will allow him to help bad guys rob a bank. Keegan: [Ducking.] I'm lost on that other title. Guillén: So you'll be using your main auditorium for first run and your smaller auditoriums for this signature programming? Keegan: Yeah, but during the week we'll have more flexibility. League: And we'll use the smaller auditoriums for limited runs of foreign language films and American indies. Guillén: My initial love for movies was grindhouse exploitation, horror and sci-fi. Alamo Drafthouse has made such a name for itself in championing this work and Fantastic Fest, along with Fantasia, has become one of the main North American venues for this material. Will San Francisco be getting a Fantastic Fest West? League: That's a really good question and I don't really know. I think so. At the very least what I'm thinking about doing is maybe taking some of the events that we do in Austin and at the same time doing some here. With some of the bigger events, we can livestream talent. I love the idea. Another member of our creative team runs Beyond Fest in L.A., which—if you look at the Beyond Fest line-up and the Fantastic Fest line-up—they're kind of the same. So we might do something along those lines. I guess I'm tentative because I don't want to step on toes either. If people are already doing good work in San Francisco, we'd like to try a collaborative approach first to see if we can do that. Guillén: I'm, of course, glad to hear that; but, what I feel Alamo can bring to the table is its curatorial vision, its working ideas about film exhibition. Keegan: Lady Snowblood: Blizzard From the Netherworld (1973) was under the Fantastic Fest banner and we're planning a double-feature of the restoration of Lady Snowblood: Blizzard From the Netherworld and Lady Snowblood 2: Love Song of Vengeance (1974) in late January. League: Have you booked Slaughter in San Francisco (1974) yet? League: Remind me and I'll try to get that into motion. I'll fly up for that. Keegan: That would be so fun. Guillén: So along with the event aesthetic we discussed earlier, you plan on adding value by bringing in talent? League: If we can manage to do it in Austin, we can certainly do it in San Francisco. Keegan: It's almost crazy how easy it is. 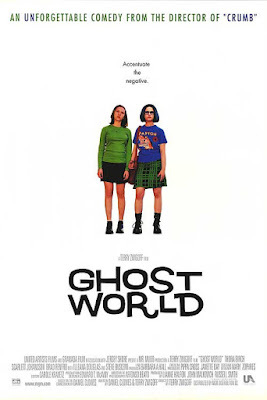 For example, Ileana Douglas and Terry Zwigoff will be here for Ghost World (2001) in early February and that was accomplished through one email. Everyone is happy to come to San Francisco. In the lead-up to our opening, we were offered high-profile films and talent, so it's exciting to think of the people who will cycle through these doors. Guillén: I'm aware you will have state-of-the-art projection—The New Mission is the first theater in North America to be equipped with Sony's revolutionary 515DS dual-4K projectors—and I presume you will likewise have celluloid capability? League: Oh yes. 35mm and 70mm. Guillén: Will Hateful Eight be in 70mm? League: The 70mm is not installed yet. Star Wars required a four-week commitment in the big theater and I can't show Hateful Eight in one of the smaller theaters; it has to be shown in the big theater. So I can't commit to a Hateful Eight 70mm projection. But the projectors are in the process of being installed and we are super-dedicated to continuing to show film. Our line-up for Terror Tuesdays and Weird Wednesdays is almost all, nearly 90%, film. Keegan: We're drawing a lot from AGFA, the American Genre Film Archive, a non-profit that rescues movies. Guillén: Excellent! And back to our imagined "New Audience", which I'm still trying to determine, one of the things that crossed my mind when it was first announced that Alamo was moving into the Mission was not only who would come into the Mission to watch movies but how they would get here. You don't have a parking venue? Keegan: No, but there's a parking lot around the corner on South Van Ness. Guillén: I only mention it because—in terms of the "New Audience"—I don't think that's really going to matter for the audience that I imagine will be attending your programs, who I presume will be transit-savvy. I remember the year the San Francisco Film Society had their opening night party across the street and some folks expressed nervousness. Keegan: It's funny, there's still a residual stigmatization. I live about a block from here. I've lived in the Mission since I moved to San Francisco. Even now there are people who think of the Mission as a questionable place. I live in a world of think pieces about how my neighborhood is changing—I guess not everyone reads this stuff all the time!—but, yeah, public transportation is great. It works well. We support that infrastructure. The BART proximity is great in terms of opening up our programming to the whole Bay Area. When I've done genre films in the past, there's always been a strong East Bay contingent and South Bay too, to some extent. We've had a lot of conversations about scheduling late night programs that would get out in time for BART passengers. Guillén: In terms of box office logistics, what will your ticket prices be like? Keegan: In the evening, individual tickets will $13.25 for 2-D; $15.25 for 3D. Matinees will be $9.25. And tickets will be $5.00 for Terror Tuesdays and Weird Wednesdays. Guillén: So, finally, what are your goals and expectations? Keegan: I'm so excited to watch a lot of movies here. I feel San Francisco is underscreened and, selfishly, I'm excited to have blockbusters within walking distance of my house. Alamo Drafthouse is going to be such a fun place to show movies. Guillén: As a critic, I'm excited because I feel in recent years that San Francisco has been demoted regarding theatrical rollouts. We're becoming a secondary, if not a tertiary, market. Keegan: That's true. Many first runs open in San Francisco on the third week of rollout. Guillén: I'm trusting and hoping that Alamo will be the shot in the arm San Francisco needs to remain competitive with New York and Los Angeles. The Bay Area is full of informed competent writers who shouldn't have to be lagging behind writers elsewhere in the country. Often, films don't even open here at all! We're being bypassed altogether. So, welcome to the neighborhood! Congratulations!